Indian Army. 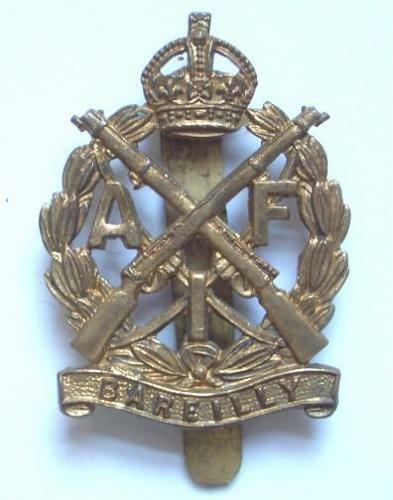 Bareilly Contingent scarce AFI cap badge. A fine die-stamped brass example on slider. Crossed SMLE rifles superimposed on a crowned oval laurel wreath which rests on a scroll inscribed “Bareilly”. The letters AFI in the lower three angles of the crossed rifles.